List all of your STO Forum Aliases or other accounts: None! Please list former STO fleets (if any): None. How did you hear about the 12th fleet? 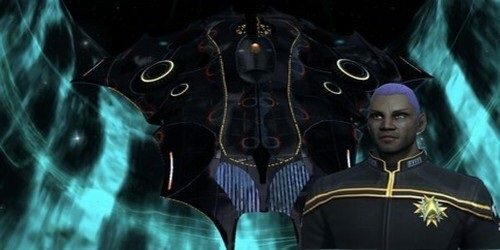 During this 433rd day of my playing STO, what I have learned and watched in just the forums, speaks volumes to me of this fleets integrity and command staff. What made you interested in choosing the 12th fleet? The magazine!! Playing better and smarter, was a major draw to this fleet. Divisions welcome all in-game careers, you do not have to join the division that your character specialises in in-game. Instead join the division that focusses on your main gameplay interest. Have you ever played an MMORPG? If so, which one and how long: Got bored with WOW after 6 months! Welcome to the forums, Kuvak! Good luck on your application! Welcome to our forums, and best of luck with your application. ...You will become one with Tactical Division. All will become one with Tactical Division. You will adapt to service us. Hm. I'd give this ship a shot. a shot with your lance. Be nice, JJ, he's another Lance pilot. Kuvak, JJ here taught me a great deal about ways to effectively increase my Galaxy-X potential. You would be wise to listen to him in the future. I will be back shortly to give you your divisional assignment. Welcome to 12th Fleet and Tactical Division "Fighting Valkyries"
Thanks everyone.....2 times!! Once for 12th fleet & the other for tactical division. JJ...drone? Oh and sorry Drake, it looked like all the other invites (auto kill)! !